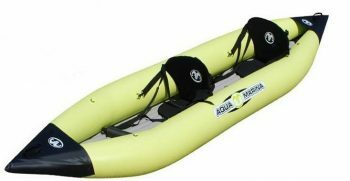 Inflatable river Kayak, that rolls up into a bag! The K0 sit-in kayak is great for those wishing to dive into the sport with a kayak that quickly hones their skills. 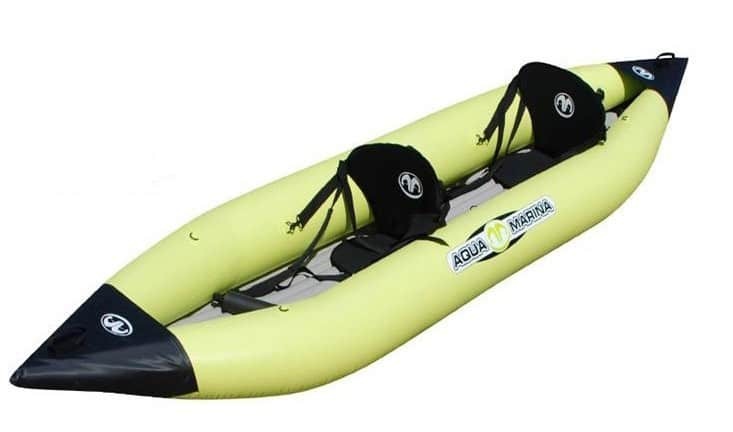 It is designed to move easily on lakes and flat water and features a durable 3-layer reinforced PVC fabric, rigid inflatable i-beam floor and safety grab lines in the bow & stern. Also has adjustable inflatable seat and foot brace. The K0 is a natural choice for beginners to intermediate-level paddlers. Inflated Dimensions: 10’5” x 33” (312 x 83cm). Kayak in bag: approx. 80 x 60 x 30cm.